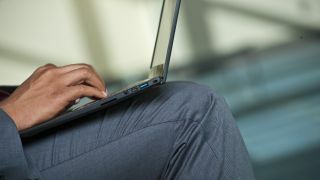 Neal Beliveau, senior director of Product Management at software firm Pegasystems Inc., talks to TechRadar Pro about how businesses can meet the social media challenge and deliver satisfactory customer experiences using technology. TechRadar Pro: What are the key challenges in delivering a satisfactory customer experience today? Neal Beliveau: Businesses today are facing a generation of far more demanding customers than they've seen before. This millennial generation are always connected, especially through mobile devices. They expect fast answers and fast responses – and they want these across every channel, including social. To meet their needs, we have to be able to deliver a personalised customer experience across all channels – and be able to effectively engage with customers whenever they need or want to. TRP: How can businesses address these challenges? NB: Businesses need to be turning to agile and flexible technology solutions that enable them to more easily engage with customers in social channels. It's imperative that they act now on this or they risk missing out on reaching a major segment of their potential audience. TRP: How do you see this market developing over the next few years? NB: We're going to see an increasing cross over between marketing and customer service. Organisations will be looking to invest more funds and resources in creating a positive and seamless customer experience across the full customer lifecycle. This will put a stronger emphasis on using customer data to personalise communication and identify the best communication channel for engaging with the customer. What's even more exciting is that the industry is increasingly looking to leverage data for predictive analytics which will lead to blending marketing with customer service in areas such as cross-selling and up-selling. What this means is that data analytics will enable organisations to anticipate emerging customer demand and tailor their marketing offerings to meet the specific needs of different customers. Social channels will be increasingly used for this purpose. TRP: Why is social content and social media so important for companies today? NB: Customers are talking about their service providers on social networks – in both good and bad ways. Companies need to listen and understand how they are perceived and then they need to get engaged. It can be seen as a bit of a double edged sword; customer comments are very public and may have an impact on a company's brand but the company's response can also have an impact. We've seen lots of companies use social media to engage and help create a loyal customer base – but there are plenty of examples of companies that have ignored social media and then paid the price for it. Check out the video "United Breaks Guitars" on YouTube to see what I mean. TRP: How can customers make the most of the social media opportunity? NB: Social media provides a great opportunity for customers to get a more personalised service. Businesses need to use a solution that provides insight and guidance into the customer across all channels in order to provide a truly personalised, customer centric experience. It's time for companies to merge social customer service into the mainstream – we're way past the point where social should be treated like a 'one-off' customer service channel. TRP: How does this tie into your latest acquisition? NB: We're surrounded by an explosion of free-form text in our everyday lives: every minute there are 204 million emails sent, 100,000 tweets and 7 million Facebook posts. Having listened to our customers, we know that they would like to collect extract information from these sources to help improve the way they engage their customers. As a result, we made the decision to acquire Meshlabs, a leading provider of text analytics technology. Text analytics is able to read 'unstructured' or free-form text and analyse it to detect important metadata, like sentiment, topics, products or brands. It can also classify text into a taxonomy for aggregate analysis. For example, take the following sentence: "The coffee was good, but the bagel was bad." There is a lot of metadata in that sentence – the sentiment is positive towards the coffee but negative towards the bagel. The author is mentioning two products (coffee and bagel). Thanks to text analytics technology, you can analyse and understand the elements in this text in order to identify key metadata about the text. TRP: What can this technology let a company do that it couldn't do before? NB: It provides a huge boost to our ability to engage with customers in social channels. This technology has built in crawlers to let customers harvest posts from social networks and data aggregators. The text analytics capability can filter spam and irrelevant noise from these channels allowing businesses to find and analyse the posts that are the most important. Companies can analyse the posts, and when paired with Pega's Customer Engagement and Case Management technology, the messages can be routed to the right team in the organisation that has the tools to engage and provide a fast and responsive service to customers.